One of the deadliest sins you can make when it comes to developing your new website it’s confusing your customer or visitors. If you’re taking the DIY approach you’ll want to first review these four common copywriting mistakes we’ve identified after having worked with financial advisors over the years. Let’s face it – the financial services industry can be dry and often times confusing for us non-advisors. Content that is too boring and full of jargon without any narrative or transition can be very ineffective. As a financial advisor, you are so accustomed to using financial lingo everyday, you may not even realize it! It can be easy to expect that your clients to know what you’re talking about but put yourself in there shoes – it can sound like an entirely different language. Worst of all, if prospects see vocabulary that is out of there league, they will leave your website to find another advisor. They are in search of a financial advisor to make their financial life easier – so make it easy for them! A good rule of thumb is to go back to basics. What does being independent mean? What is a CFA or CFP? At the end of the day, you want your visitors to understand what it is you do and the services you provide, so don’t use words your customers don’t or wont understand. The end goal is creating copy that is both entertaining and informative. Check out this great article from Iris on the top five terms to avoid. Our client, Hall Financial Group, makes it easy for their clients read their copy and understand services without the use of high level financial jargon. This ties into mistake #1, but is still very important so it deserves it’s own section. Usability expert Jakob Nielsen recommends writing at a sixth-to-eighth grade reading level on the web. More specifically, Nielsen recommends writing at a 6th grade reading level on the homepage, important category pages, and landing pages. On other pages, use text geared to an 8th grade reading level. So what exactly does that mean? Use common words and shorten the length of sentences and paragraphs to simplify the content, making it more accessible to the average reader. Why? Advisors can spend far too much time trying to find bigger words and show their knowledge through the vocabulary they use. 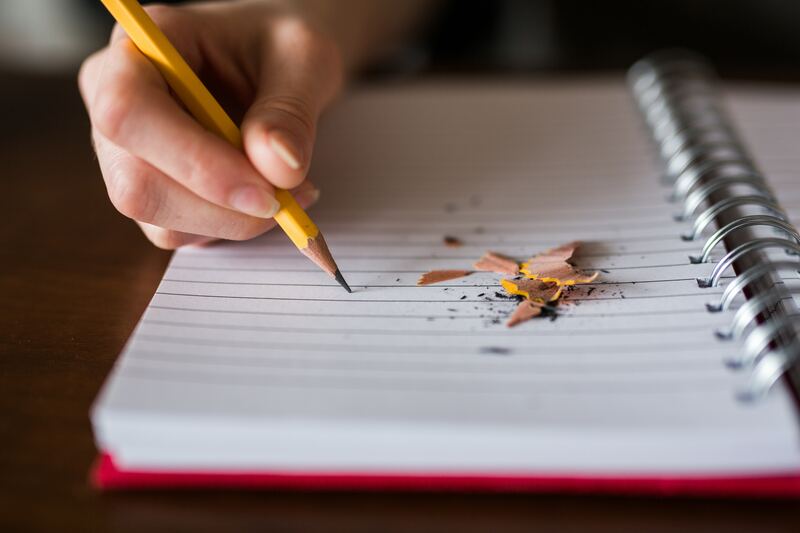 Instead of spending your time reflecting on your terminology or looking in the thesaurus, make writing your copy easier for you and your prospects. Writing simplistically not only makes your copy readable, but it is more engaging. Express yourself and what you want to convey as if you were having a conversation with your client. Without loads of useless and confusing content, you can more easily make your point. This aids in making your copy flow so that your readers will continue on through your website. The website copy on Jim MacKay Financial Planning has been one of our favorites for its simplicity and effectiveness. Another huge no-no is not focusing enough on the needs of your customer. By focusing too much on your company and not enough on the customer, you decrease the usefulness of your content. 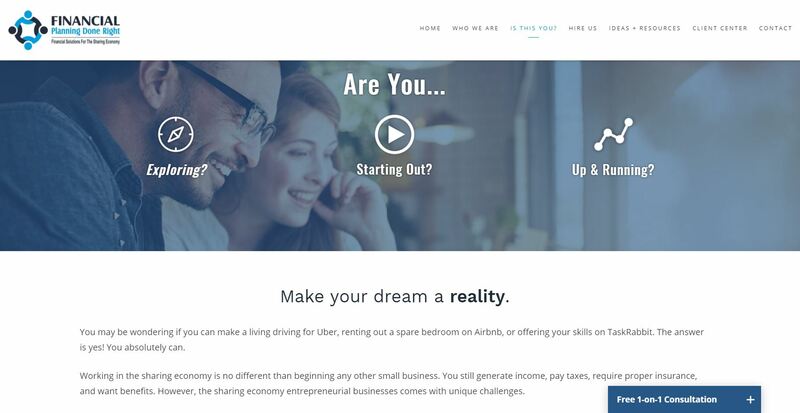 See how customer-focused your current website is. Although you might want to say a lot through your website, remember the purpose of it. You want to attract customers. In each section you should be able to immediately know how it will benefit prospects. For example, tell your story because its shows how much you care about your mission and clients. Explain your services so readers understand which ones fit their needs. Bring up your family and dog in your bio to make it more clear what type of person they will be working with. Your website copy should focus first and foremost on addressing your customers pain points. By identifying what your customers struggle most with you can then prove through your website copy how you understand, genuinely care and can help solve their most pressing financial issues. TIP: before you can even identify your customers pain points you’ll need to first create personas. Our client, Financial Planning Done Right’s website speaks directly to their target audience. We all know Google is king and searches are becoming more complex than ever. Having good SEO is critical for your business so if you haven’t already, it’s time to put together a strategy. We’ve compiled the ultimate list of SEO resources to get you started and boost your website’s rankings. The first step to ranking higher in search engines starts with killer copy. This includes back linking to other pages of your website, including alternative text for images you include, and creating relevant and quality copy. One of the easiest and most impactful ways to incorporate a SEO is to use keywords throughout your copy and headers. For example, if you’re a fee-only financial advisor who works with professional athletes and celebrities in Los Angeles you’ll want to associate your company with keywords that your audience would be typing into Google. These should be associated with your business and could range from keywords such as “privacy,” “fee-only,” or “Hollywood” (or the specific part of LA you service). You can even think about making sure your primary keywords are in your homepage title, H1 tags, and are scattered within your web pages. 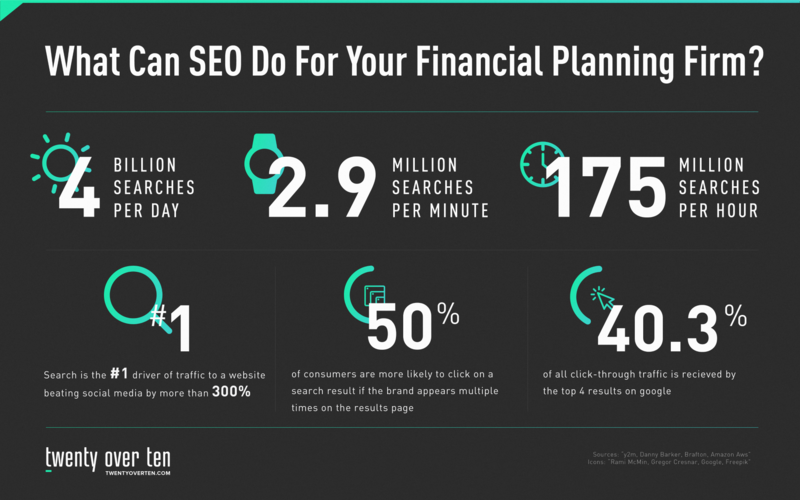 Learn more about SEO for financial advisors. Weather you have an existing site that needs some cleaning up or are starting from scratch our copywriters can help! We offer three types of copywriting packages to fit your firms unique needs and budget.